The first CIPTEC co-creation workshop. 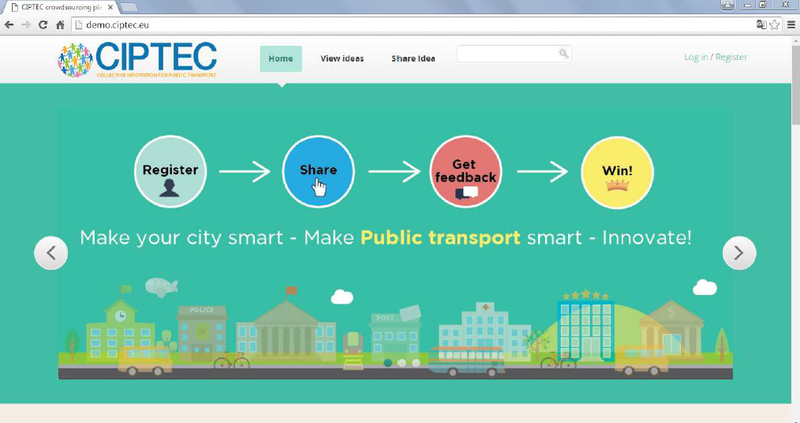 CIPTEC plans to orgsnise 8 co-creation workshops in 4 different European locations in order to gain valuable insights from the public transport stakeholders that will facilitate the emergance of new innovative concepts with the capacity to increase public transport's attractiveness and market share. White Research, in close collaboration with the project's regional partners who will implement the co-creation workshops, is the overall responsible for planning these collective intelligence processes. The first CIPTEC co-creation workshop was held on 9th June 2016 in Siena by the CIPTEC project partner Tiemme. 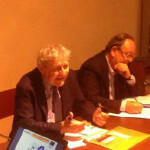 The co-creation workshop was opened by Tiemme President Mr. Massimo Roncucci and Director Mr. Piero Sassoli introducing the current Public Transport scenario, from service and demand perspective and from the point of view of technologies and innovations Tiemme has been working on in the last few years. Presentations were delivered also by Ms. Pico, representative of the Italian Association of Public Transport Companies (ASSTRA), illustrating the relationship and bond between the Company and the local context and by Mr. Ambrosino, who has presented the objectives, activities and first results of CIPTEC, by also showing project video. Workshop moderator, Mr. Luciano Niccolai, then introduced the methodology of listening and group work to identify and collect problems, critical issues and possible solutions (building on discussion and post-itor fixing ideas). Following the introduction, 3 working groups where created, with stakeholder from the Municipalities of Siena (Mobility Manager and Local Police), Monteriggioni and Monteroni d’Arbia, Province of Siena, Charity Pubblica Assistenza di Siena, Arezzo Association for People with Disability, Italian National Association for the Blind, delegates of teachers and university students association and of environmental (Legambiente), cyclists (FIAB), consumers and commuters organizations. positively affect PT service quality even on a short/medium term perspective, emerged. Some examples which are worth mentioning are: better integration between road and railway transport; real-time information for users on bus arrival times, connections and service disruptions; optimization of service planning for reducing bus occupation at peak times; improvement of accessibility for mobility impaired and blind people; ideas for fighting evasion; extension of annual student pass to the summer period with no cost difference; reserved space for bikes in the buses; better connections between Siena and neighbouring areas; electric buses for shuttle services. Ideas were presented by each participant by using post-it pasted on specific posters (covering mobility aspects pre, during and post-trip), aimed at promoting a constructive and shared discussion among group participants and resulting in an open and fruitful debate that produced useful inputs for Tiemme. between Tiemme and people and in the framework of CIPTEC project. In this context, Mr. Iacometti (MemEx) presented a demo of the “crowd sourcing” platform, aimed at collecting needs and ideas from the different actors involved in the transport chain. will take place between September 2016 and January 2017.